US President Donald Trump’s ban on refugees and travelers from six mainly Muslim countries went into effect late Thursday, after Supreme Court decision allowed it to go forward following a five-month battle with rights groups. The 90-day ban on visitors from Iran, Libya, Somalia, Sudan, Syria and Yemen, and 120 day ban on refugees, will allow exceptions for people with “close family relationships” in the United States. Immigration rights activists and lawyers were waiting to help arrivals at New York’s John F. Kennedy International Airport and other airports to be sure those from the six countries with valid US visas were allowed in after the ban went into effect at 8 pm Thursday Eastern time (0000 GMT Friday). 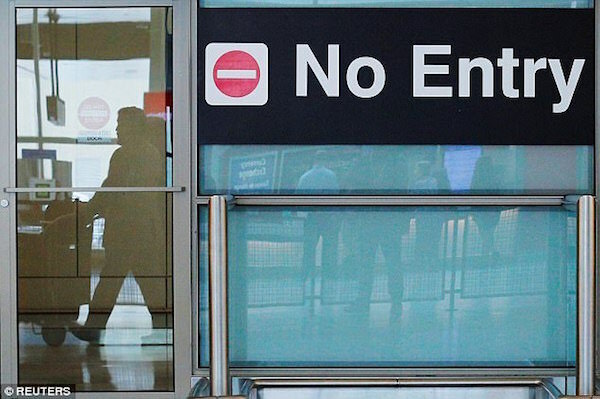 The Department of Homeland Security, which was heavily criticized for mishandling many arrivals when the ban was first attempted in January, promised a smooth rollout this time. They stressed that anyone with a valid visa issued before the ban begins would still be admitted, and that all authorized refugees booked for travel before July 6 will also be allowed. “As recent events have shown, we are living in a very dangerous time, and the US government needs every available tool to prevent terrorists from entering the country and committing acts of bloodshed and violence,” a senior administration official told reporters Thursday. Democratic legislator Bennie Thompson blasted the government for a “lack of preparation and transparency” in putting into place the ban. “Just hours before the president’s unconstitutional and misguided travel ban takes partial effect tonight, administration officials briefing Congress were unwilling or unable to provide meaningful answers about how they determined whom the ban would affect,” said Thompson, the senior Democrat on the House Homeland Security Committee. Rama Issa, executive director of the Arab American Association of New York, said the government is redefining what a family is. “I was raised by my grandparents, so the idea of grandparents not being part of a family is very foreign to me,” she said at Kennedy International, preparing to help arrivals after the ban takes effect.